2 August 2016 - The High Criminal Court in Bahrain today postponed for the second time the trial of prominent human rights defender Nabeel Rajab until 5 September 2016. The charges against Rajab amount to a serious violation of his right to freedom of expression. The judge again refused a request made by Rajab’s lawyer for his release on the basis of his poor health and the lack of evidence presented by the prosecution. The undersigned NGOs strongly condemn the ongoing harassment of Nabeel Rajab and the further extension of his detention. The Government of Bahrain first arrested Rajab on 2 April 2015, charging him in relation to to comments he shared on Twitter concerning torture at Jau Prison and the Saudi-led war in Yemen. Authorities initially released him on 13 July 2015, but they did not drop the charges. Less than a year later, on 13 June 2016, the government once again incarcerated Rajab on a separate and new charge of spreading “false or malicious news, statements, or rumors”. According to Rajab’s representation, government security forces kept Rajab in solitary confinement since his arrest under very poor conditions, thereby causing his health to seriously deteriorate. His lawyer has stated that government security forces regularly subject Rajab to harassment in detention. In addition, government officials closely monitor his conversations during family visits, thereby violating his right to privacy. The government recently denied compassionate leave after the death of a close relative. Rajab will remain detained at least until his next trial date, which the courts continue to postpone. The High Criminal Court in Bahrain first postponed Rajab’s trial on 12 July, where the court first heard all charges made over a year ago, and his lawyers learned of an additional charge related to insulting Saudi Arabia. Rajab faces up to 10 years in prison if convicted of spreading “false or malicious news, statements, or rumours” under article 133 of Bahrain’s penal code. If convicted under article 215 of the penal code for “offending a foreign country [Saudi Arabia]” for tweets related to the Saudi-led war in Yemen, he faces a further two years imprisonment. He faces an additional three-year sentence if convicted of “offending a statutory body” under article 216 of the penal code for comments relating to Jau prison in Bahrain. In total, Rajab could serve up to 15 years imprisonment for his statements over Twitter. 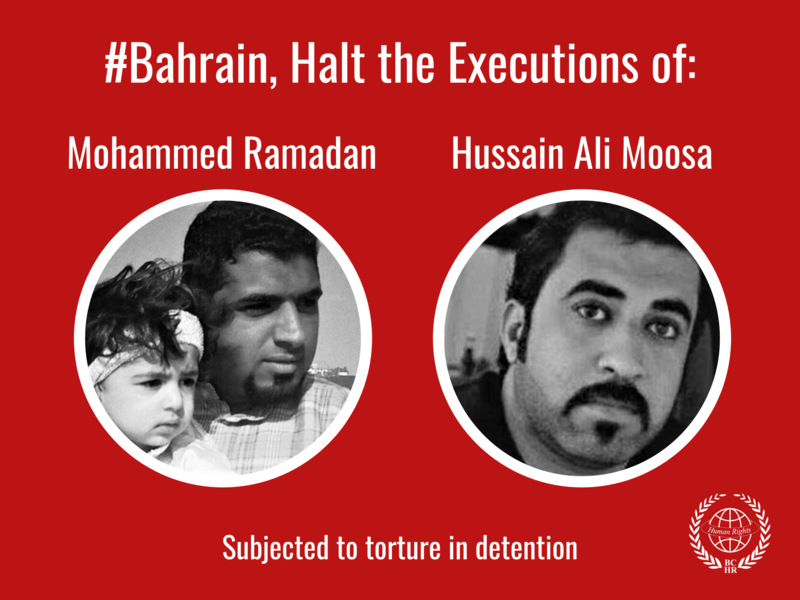 The Government of Bahrain must end its continued reprisals against human rights defenders. 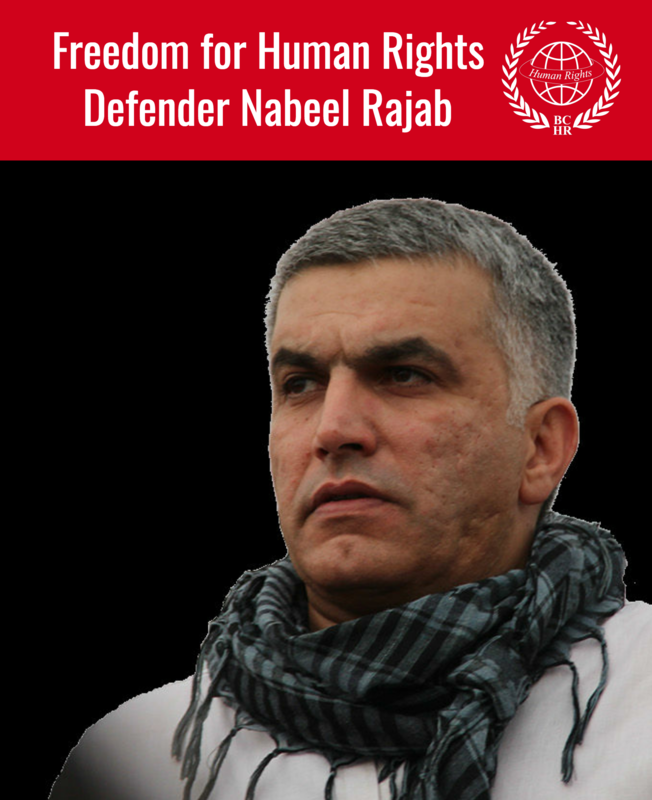 We call on the international community to speak out strongly against the arrest of Nabeel Rajab. We further demand that the Government of Bahrain immediately and unconditionally release Rajab, and begin respecting his basic human rights.